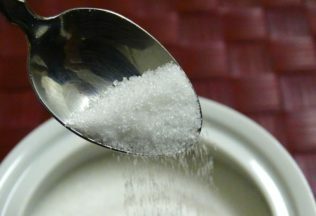 A new sugar content certification program called ‘Sugarwise’ is gaining traction in the United States. Food products with added sugars meeting World Health Organisation guidelines will be eligible to display the Sugarwise certification on front-of-pack. The certification requires that added sugars constitute no more than 5 per cent of a product’s weight. Liquid beverages must have no more than 2.5 grams of added sugar per 100 millilitres. Sugarwise says that levels are measured using the latest technology. The introduction of Sugarwise certification comes at a time when many US food companies are seeking to offer products with reduced sugar content. Changes to US labelling requirements announced in May 2016 will require food companies to list added sugars alongside the percent daily value. The laws will begin to operate from July 2018. The Australia New Zealand Food Standards Code (ANZFSC) allows food companies to make claims as to sugar content, provided that the product meets specific requirements. A “low sugar” claim may be made if a solid food contains no more than 5 grams of sugar per 100 grams, or if a liquid food contains no more than 2.5 grams per 100 millilitres. The threshold seems the same as is required for Sugarwise certification approval, however, Sugarwise refers to amounts of added sugars. The ANZFSC thresholds measure all sugars. A “no added sugar” claim can be made under the ANZFSC if the food does not contain any added sugars, honey, malt, or malt extracts. All solid foods and some liquid foods must also not contain any concentrated or deionised fruit juice. A claim that a product is low in added sugars is not expressly provided for by the ANZFSC, and therefore must be substantiated by food companies. The use of certification, which involves independent testing of added sugars, could make the substantiation process easier, less costly and more standardised. Additionally, the ANZFSC requirements for sugar claims, and other nutrition content and health claims, do not apply to an endorsements made by an endorsing body. An endorsing body must be a non-for-profit entity that has a nutrition or health-related purpose. Any representations made on labels must also take care not to be false or misleading in breach of the Australian Consumer Law. The Australian Competition and Consumer Commission (ACCC) recently launched action against Heinz regarding the sugar content of its Little Kids Shredz products. The ACCC claims that the healthy imagery on the packaging implies that the products are a comparable alternative to fresh fruit and vegetables, and this is misleading because the products contain significantly higher amounts of sugar than occurs naturally in fresh fruit and vegetables. Similarly, if Sugarwise certification was to become available in Australia, it may need to take care not to misrepresent the nature of the claim. If the certification applies to products with low added sugar, it should not represent that the product has low sugar, no sugar, or no added sugar.